Toshiba announced its new laptop offer in Kerala. 'Buy a Toshiba laptop and get a free Canon color printer'. Toshiba is offering free Canon color printer worth 1990 Rs. Offer is valid for selected laptop models. . 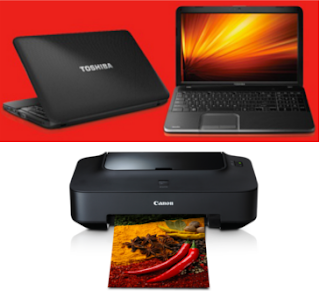 This offer is available in all leading Toshiba Stores across Kerala. Contact the store directly for more details. Offer is valid only in Kerala and ends on 31st May 2013.